The Scandinavian country of Norway encompasses all the drama and intrigue of the Vikings, who once roamed its shores and waters. A country characterized by its sheer and rugged mountains, glacial valleys, and especially the jagged and twisting fjords, Norway is a truly breathtaking destination where visitors can traverse steep switchbacks to reach the Trollstigen, take a fjord cruise to view the rocky peaks that rise from the water, and even go diving or fishing in the world's strongest tidal current. At night, the aurora borealis or the midnight sun will tantalize and impress anyone who sees these natural phenomena in the night sky. 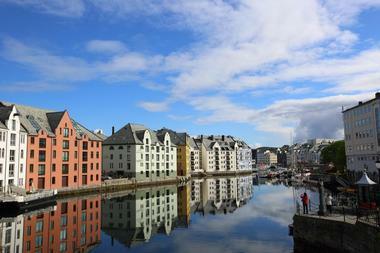 Ålesund, a small port town located on Norway's western coast, is a beautiful little town in a lovely setting. In 1904, nearly the entire town was burned to the ground in a horrific fire, and the rebuilding of the whole town at the same time has made Ålesund a unique destination simply for the art nouveau style architecture in the town. 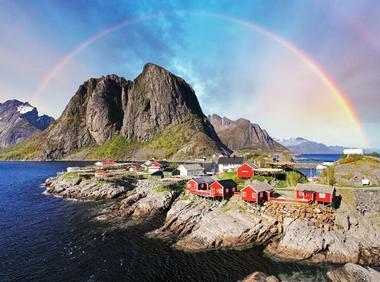 Rugged mountains, gleaming blue fjords, and a stunning Norwegian landscape draw visitors to the area, as does its proximity to the Geirangerfjord, which is a UNESCO World Heritage Site. In town, museums, parks, architecture, and frequent festivals are sure to keep guests busy for the duration of their stay. With towering mountains and steep hairpin trails, Åndalsnes is a perfect destination for those who love hiking and being outdoors. The Norwegian landscape is a gorgeous one, and the port town of Åndalsnes shows it off in all its glory with walks and journeys designed for visitors with different physical abilities and different allowances of time. The Nebba lookout point, for example, is just a 20-minute walk from the city center. 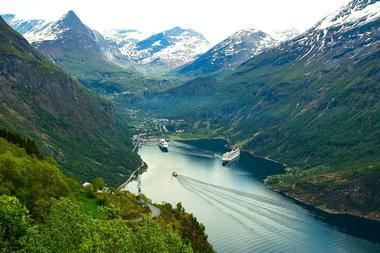 Then there's Trollstigen and Trollvaggen, one of the most popular tourist destinations in Norway. Visitors can head up the steep path to Trollstigen - keeping an eye out for trolls, of course! - to find waterfalls, dramatic mountain peaks, and gorgeous green valleys. Bergen is a southwest Norwegian city characterized by the many mountains and fjords that surround it, including Sognefjord, which is the longest and deepest fjord in the entire country. 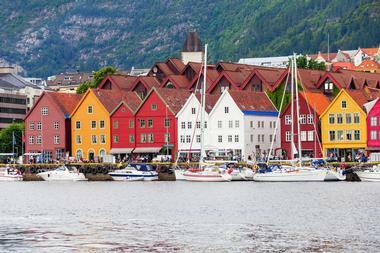 Colorful houses on the edge of the Old Wharf greet visitors approaching Bergen from the water, and there's even an old stone fortress alongside the harbor called Bergenhus Fortress. Fløyen Mountain, which can be reached by hiking trails or with the help of the Fløibanen Funicular, offers beautiful panoramic views of the city and surrounding areas, and in the city, visitors to Bergen can enjoy museums, historical homes, and delicious seafood. 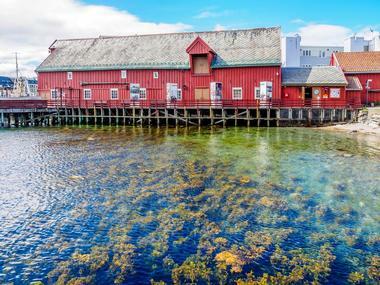 The small town of Bodø is located just north of the Arctic Circle, and it is home to the Saltstraumen, which is the strongest tidal current in the world. This swirling maelstrom of water occurs roughly every 6 hours and can be viewed from ashore, by boat, or even while diving. During the tidal rush, almost 800,000 gallons water pass through the fjord every second, and huge shoals of fish come with it, making Saltstraumen a mecca for fishing enthusiasts. Bodø's location in the far northern reaches of the world make it a great place to view the Northern Lights and the midnight sun. 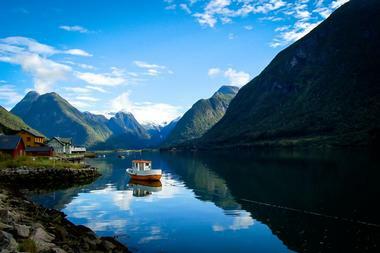 Eidfjord is a popular Norwegian travel destination, with mountains, fjords, and glaciers surrounding the village. A stay in Eidfjord offers easy access to nearby Hardangervidda National Park, the largest national park in Norway, which has fishing opportunities and hiking trails across the largest mountain plateau in northern Europe. 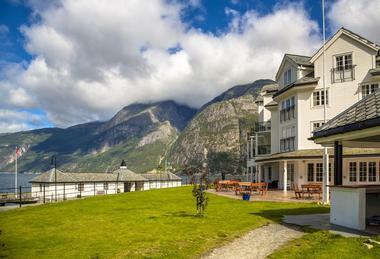 From Eidfjord village itself, visitors can spot the Hardangerjøkulen glacier, one of the largest in Norway. 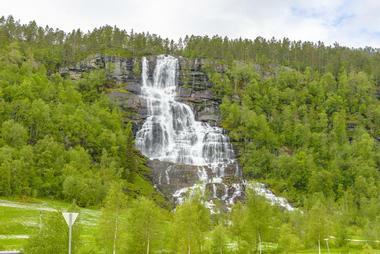 The village, which was once home to Vikings and contains a lot of local history, has a 14th century church, old Viking graves, and the beautiful, iconic Vøringfossen waterfall. 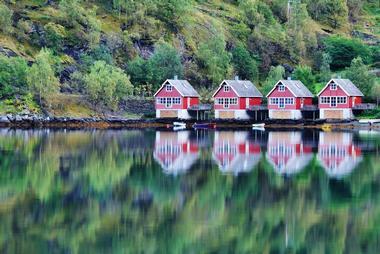 Flam lies just south of Aurlandsfjord, which is a twisty watery branch of the larger Sognefjord in southwest Norway. The fjords near Flåm are truly stunning, some of the most famous in the world, and visitors to the area can take a short day trip aboard a fjord cruise, which lasts anywhere from 1 to 4 hours and will take guests to see some of the most amazing UNESCO World Heritage fjords in existence. Guides on these cruises will show guests local points of interest, such as rock formations, mountains, glaciers, and even some local history and legends about the area. Located in southern Norway, Geilo is a mountainous town that is renowned for its ski resorts. Opportunities for alpine skiing, cross-country skiing, and ski touring are all readily available in Geilo, and in the summer, these same beautiful mountains make for some great hiking. Conveniently located to the entrances of not one but two gorgeous national parks, Geilo makes a great jumping off point for visitors who want to explore cliffs and search for Arctic foxes in Hallingskarvet National Park, and also for those who want to wander among the wild reindeer herds on the massive plateau of Hardangervidda National Park. Geirangerfjord is a massive and famous fjord in western Norway with many beautiful and well-known natural formations that often appear on lists of the most beautiful natural places in the world. The area is a paradise for nature lovers, who can find famous waterfalls like the Seven Sisters cascade or the Bridal Veil, both of which drop from sheer cliffs in a display of mist and rainbows. Sightseeing trips aboard a boat, by bicycle, or by foot will lead visitors to views of steep mountain faces, sparkling blue waters, and the deep carved glacial valleys that make up the fjords. The village of Gudvangen is located at the end of the Nærøyfjord, a beautiful fjord that is a UNESCO World Heritage Site. It's a popular tourist destination characterized by twisting fjords, towering mountains, and green valleys, which visitors can explore via foot, bike, kayak, or boat. For those who don't fancy physical activity, nature can still be experienced with a scenic drive through the mountain roads. The Magical White Caves, a labyrinthine cave system beneath the ground, is a popular attraction where guests can tour the underground rooms and caverns with running water, subterranean lakes, and even a bar and dining area. Hardangerfjord is one of the longest fjords in Norway and in the world, a beautiful sheer valley carved by glaciers millions of years ago and now filled with gorgeous blue water beneath an equally blue sky. Hardangerfjord is the perfect spot for outdoor adventure, and visitors will find ample opportunity to explore all the wonders that nature has to offer them here, through varied and beautiful hikes that lead to spectacular landscapes. Stunning waterfalls in the Husedalen Valley offer a lovely view, and standing upon the Trolltunga, a long, narrow strip of rock that extends out from the cliff face over the fjord, is breathtaking in every sense of the word. 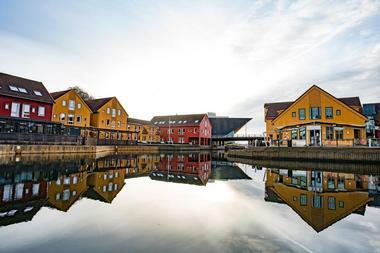 The city of Kristiansand, located in southern Norway, is a wonderful destination for families looking to get a glimpse of Norwegian landscapes as well as the full cultural experience of a bustling city. 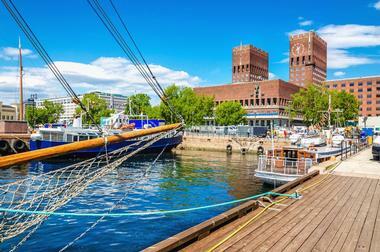 The city of Kristiansand has the largest zoo in Norway, many seaside beaches, art museums, and an amusement park. Visitors can also take a ferry ride to the Kristiansand archipelago, visit the Christiansholm Fortress, or take a leisurely stroll through Posebyen, which is the most historic part of the city of Kristiansand. 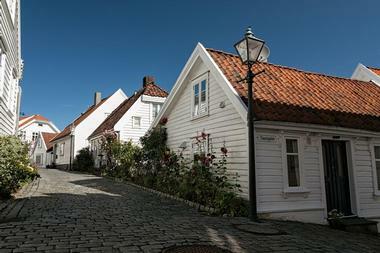 Posebyen contains many historic wooden houses and buildings as well as the Kristiansand Cathedral. 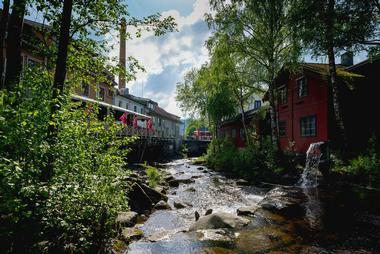 The southern Norwegian town of Lillehammer is incredibly historic, and in Maihaugen, an open-air museum, visitors can find buildings that date back to the 13th century. In Hunderfossen Familiepark, guests can enjoy rides and attractions in a large amusement park featuring lots of trolls. Lillehammer is a well-known ski resort town, which once hosted the Winter Olympics and still has museums and attractions from the games and events for guests to enjoy. On the slopes, visitors to Lillehammer will find forested mountains, alpine slopes, and plenty of opportunity for skiing and play. 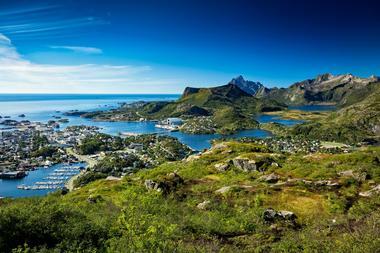 The Lofoten Archipelago is a collection of islands off the western coast of Norway. Its landscape is characterized by the dramatically jagged peaks that rise up from the islands, including the Svolværgeita pinnacle, which creates a breathtaking view that can be seen for miles. It's a great spot to view the aurora borealis, and there are several Northern Lights tours that operate on the islands. There are also several Viking-related museums on the Lofoten Archipelago, like the Lofotr Viking Museum, where guests can see a reconstructed Viking longhouse and learn about their culture and the history in the region. 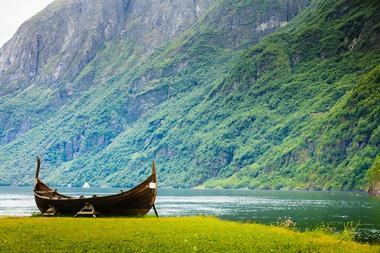 Lysefjord is a fjord that runs for over 26 miles through southwestern Norway. The massive rocky mountains - which in places rise up to tower almost 10,000 feet above the water - and deeply carved valleys were formed millions of years ago during the last ice age, and though the icy glaciers are now gone, what they've left behind is a stunning landscape perfect for exploring. A boat tour of the fjord will reveal breathtaking views of mountains, rock formations, jutting islands, and maybe even colonies of seals. On land, if visitors are up for a hike, they can trek to such beautiful areas as Preikestolen or Kjerag. 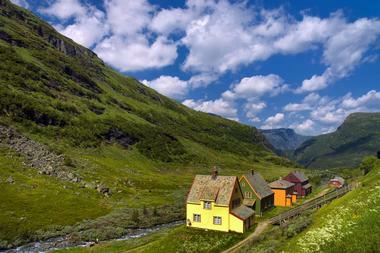 Myrdal is a train station located high in the Norwegian mountains about 10 miles south of Flåm. 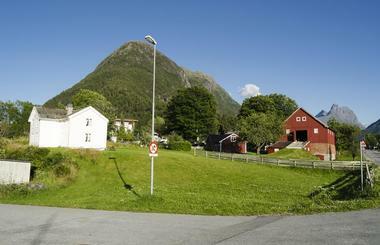 This beautiful and scenic stop is accessible via the Flåmsbana railway from Flåm or via the Oslo-Bergen Railway. 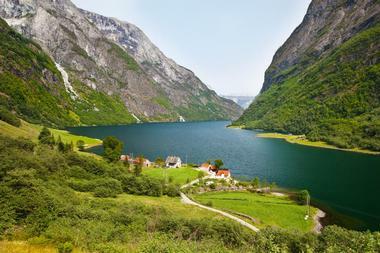 The open-air Flåmsbana train will lead its passengers through valleys of twisting fjords lined with towering mountains and switchback roads, from sea level up to Myrdal, with an elevation change of nearly 3,000 feet over the hour-long ride. It's one of the steepest standard train lines in the world, and the journey past waterfalls, through tunnels, and all over the Norwegian countryside is an unforgettable one. 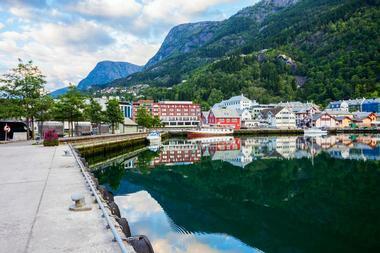 Once at Myrdal, visitors can return to Flåm or transfer to the Oslo-Bergen train for even more sightseeing. Nærøyfjord is about 11 miles long and in places it is only about 800 feet wide, making it the narrowest fjord in the world. It was named a UNESCO World Heritage Site in 2005 and has magnificently large mountains that rise sharply up on either side of the water to heights of almost 6,000 feet, with crashing, misting waterfalls that cascade down their cliffs into the fjord. Boats and ferries offer wonderful opportunities for visitors to see Nærøyfjord from the water, where they can spot tiny farms isolated from the rest of civilization, and visitors can also rent a kayak for a more slow-paced trip. 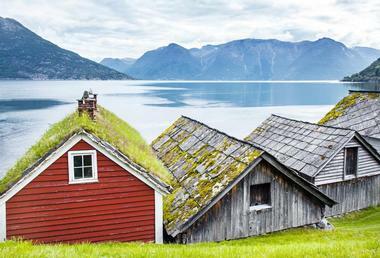 On land, hiking through Aurlandsdalen offers the best views of the fjord and the surrounding mountains. 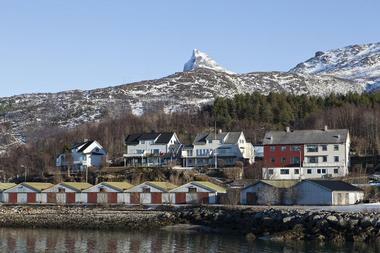 The town of Narvik is located in the Nordland region of Norway, within the Arctic Circle. Narvik is in a beautiful location, with islands to its west, mountains in every other direction as far as the eye can see, and fjords to its north and south. In Narvik, visitors can check out Polar Park for an up-close and personal look at wolves, Arctic fox, reindeer, bears, and more. Ice fishing, dog sledding, snowshoeing, and cruises on the fjord provide a glorious look at the surrounding nature, and at night the Northern Lights will offer a stunning show in the night sky. Departing from Narvik Station, there is also the Ofotbalen Railway, which connects with Sweden and takes its passengers through the rich northern landscapes of Norway. The municipality of Odda lies sandwiched between Norway's Hardangervidda National Park to the east and Folgefonna National Park to the west. It is home to Trolltunga (the Troll's Tongue), a long, thin precipice of rock that stretches precariously out from the cliff behind it in a gravity-defying display of natural beauty, with a view that is well worth the adrenaline rush. Visitors will find lots of opportunity for camping, both in tents and in mountain cabins or lodges, as well as canoeing, hiking, and climbing. In the colder months, there are lots of slopes just waiting to be skied, and glaciers ready to be climbed. Sognefjord is the longest and deepest fjord in Norway, with many smaller fjords that branch from its mighty waters and the well-earned nickname "The King of Fjords." 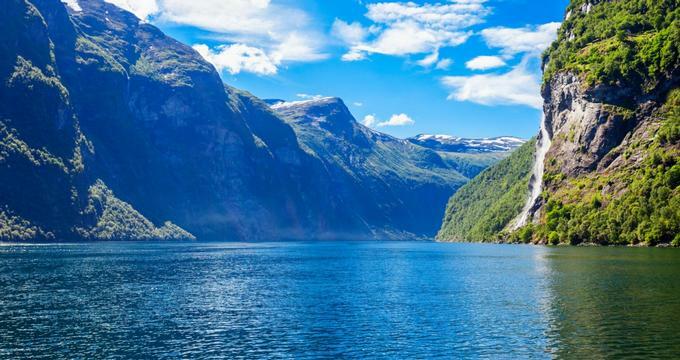 For 126 miles, Sognefjord extends inland from the Norwegian Sea, and just by sticking to this one fjord, visitors can see a huge portion of Norway, including Flåm, Balestrand Jostedalsbreen National Park, and Jotunheimen National Park. The Sognefjord region is home to dramatic mountains, sheer, glacier-carved valleys, historical towns, and unique landscapes. Visitors can take a fjord cruise for a sampling of each of these sights or stop in one of the small towns at the fjord's edge for some delicious local seafood. The historic city of Stavanger is located in southwestern Norway, not far from the coast of the Norwegian Sea. Founded in the 12th century, Stavanger has an old cathedral, which was built around the time of the city's conception, and many other pretty historical wooden buildings from centuries past. 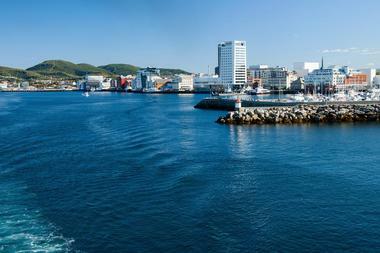 Its major industry is oil production, and thus Stavanger is sometimes compared to other big oil cities like Houston. Visitors can learn about this industry in the Norwegian Petroleum Museum or learn about the history of the region in the Stavanger Museum. The surrounding areas around Stavanger are full of sheer, dramatic cliffs, cold blue waters, and big skies. 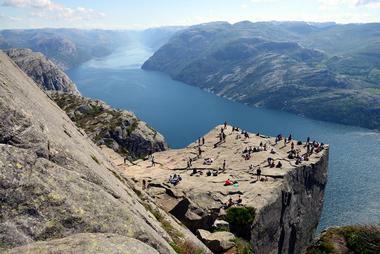 For a fun hike and stunning views, visitors should check out the mountain plateau of Preikestolen. For those who have dreamt of seeing the shimmering green lights of the aurora borealis, Norway has a number of options to make those dreams come true. But in the northern city of Tromsø, visitors will find themselves in the center of the Northern Lights Oval, meaning they have an excellent chance of seeing the lights from September to April each year, and the city offers many tours to take guests to the best viewing spots. Tromsø is often referred to as the Capital of the North, and it is the cultural hub of northern Norway, with a wide variety of restaurants, attractions, and accommodations, including the Tromsø Ice Domes ice hotel, and Aurora Spirit, the northernmost distillery in the world. 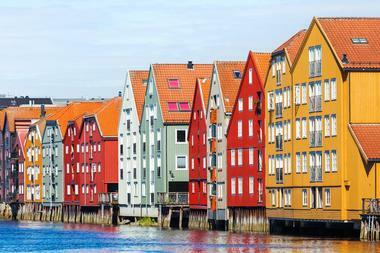 Although not very large when compared to other European cities like London or Paris, Trondheim is actually the third biggest city in Norway. The heavy presence of students in Trondheim means that there is a large cultural scene, with a lot of restaurants, nightlife, festivals, and music. There is a huge presence of local food and drink here, with lots of locally brewed beer and restaurants that pair these beers with special meals. In Trondheim, there are art museums, history museums, and even the Rockheim, which is a museum devoted to the development of pop music in Norway. It's also an incredibly historic city, with the Nidarosdomen cathedral, which was first built in the year 1070. Voss is a small town with a lot to offer located in southwest Norway. Visitors to Voss can ski or snowboard down some of the impressive mountain slopes, kayak in the rivers, or even get an adrenaline-pumping view of the area from above while skydiving or paragliding above the land. In town, visitors can explore the 13th century medieval church of Vangskyrkja or check out Mølstertunet, a lovely farm with an even lovelier view. Waterfalls, open-air folk museums, historical buildings, and much more await visitors in Voss, and at the end of a busy day, they can indulge in a plate of smalahove, which is a lamb meat dish traditional to the region.